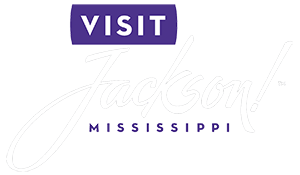 When you arrive in Jackson, you’ll discover the “City of Soul” maintains its reputation as one of the most distinctive cultural destinations in the South. From the rhythm and blues, to complex history, to stunning art galleries, the capital city of Mississippi has something for you to enjoy. Another facet of our charming lifestyle is meandering through the upscale Highland Village in Jackson, MS. Nestled off of Interstate 55N, this premier center showcases wonderful boutiques, exceptional restaurants, and specialty stores, all which will provide you with an excellent retail experience. Whether you’re searching for something unique or simply window shopping, your next adventure awaits just 3 miles away from your romantic getaway at Fairview Inn. Before your shopping trip to the Highland Village in Jackson, MS, request a copy of our complimentary Vacation Guide for information on places to visit, things to do, and where to stay. For over 20 years, the Highland Village in Jackson, MS, continues to maintain its reputation as the upscale shopper’s paradise in the area. Recently, the complex received a modern update with exterior retouching and an update of the Highland Village courtyard. Trust us, you’ll want to plan a day visiting the stores, enjoying the breezes, and delighting in the leisurely pace. We hope you enjoy this destination as much as we do! If you are searching for high-end brand names, this landmark has the place for you. Each of the Highland Village stores in MS offers a diverse selection of luxurious merchandise suited for your special style and tastes. From fashion jewelry, to carefully made clothing, to gorgeous shoes, there’s no shortage of exceptional products on sale. Here are a few of our favorite places to shop! Local tip: If you wish to have a smoother shopping experience, remember to bring additional cash! When hunger strikes, browse the directory of Highland Village in Jackson, MS, restaurants to enjoy. Each of these exceptional eateries provides the perfect meal for you and your special someone. Whether you’re interested in a quick bite or a more traditional dining experience, you’re sure to satisfy your cravings at one of these places! Are you looking for the perfect way to stay active on vacation? At Highland Village in Jackson, MS, enroll in a fun-filled class at either Pilates Place of Mississippi or Pure Barre. Each of these boutique workout studios offers a wonderful selection of exercises to challenge you and push your limits. From the moment you begin warming up to the final repetition, you’ll feel invigorated! Throughout the year, many Highland Village in Jackson, MS, events are held in the stores or in the stunning courtyard. Each of these wonderful events is designed to bring your closer to our local culture while teaching you something new. In fact, you can choose to participate in one of the seasonal celebrations or in-store extravaganzas. These festivities are held frequently, so check the calendar for more information! Once you’ve completed your experience at Highland Village in Jackson, MS, make the short drive back to luxury at our boutique hotel. Here at Fairview Inn, we offer a charming collection of beautifully appointed suites and invite you to reserve the ideal one for your getaway. After you book, you’ll have easy access to area attractions as well as our three premier destinations – 1908 Provisions, The Library Lounge, and Nomispa. If you wish to enhance your trip even more, browse our specials and packages. Relaxation and refined comfort await your arrival in Jackson at Fairview Inn, so don’t hesitate to plan your next vacation with us today!